It’s official, folks. I finally found a way to enjoy almond milk! Yes, I know, very exciting news. I have tried almond milk several times and in a variety of ways. Each of those times I found it gross, which is weird because I like almonds and I like milk. I don’t need to go dairy free (and I have no intentions of doing so either), but I want to expand my horizons. So with the new year upon us I thought I’d give almond milk another try. I’ve never tried it in a smoothie so I figure I’d give that a go. 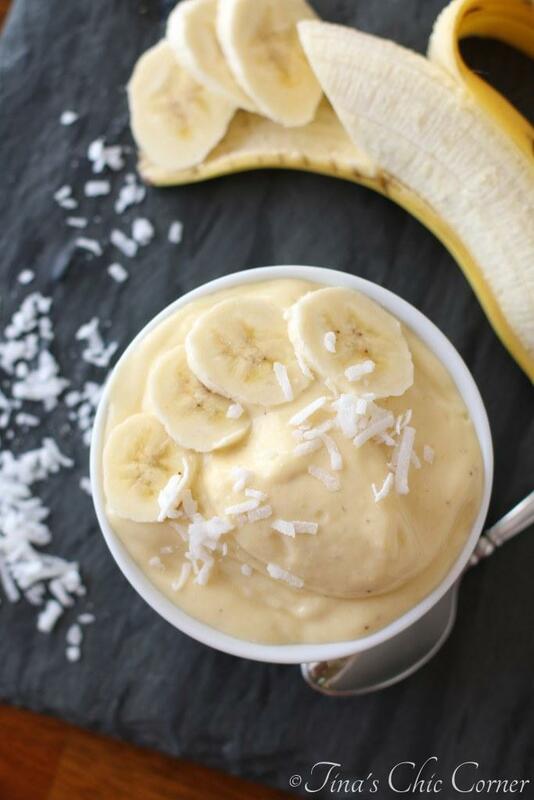 Well, I’m in love with this smoothie! For the record, I’m not sure that I can say that I like almond milk because you don’t taste it here. Maybe that’s the secret, at least for me. This smoothie is all about the peanut butter flavor and boy do I love peanut butter. By the way, how freaking cute are the straws that my mom gave to me for Christmas?! 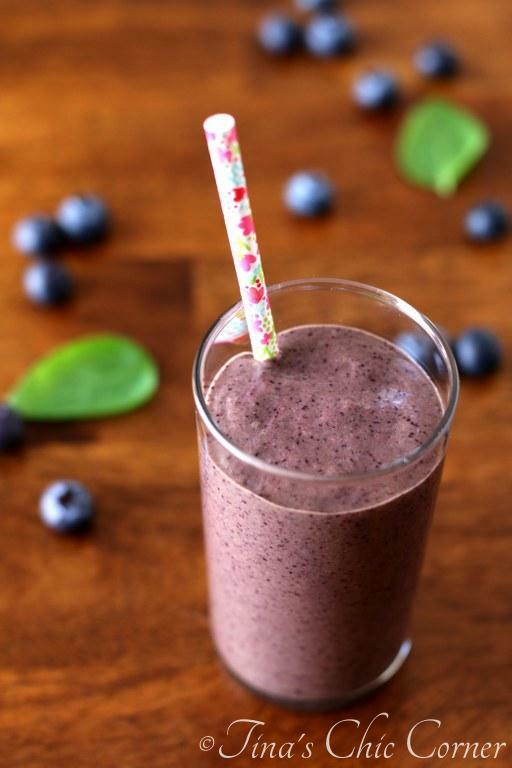 What smoothie concoctions are you making lately? After all, since it’s January most of us are probably living on them because it’s diet season. There are three reasons why I love this one… #1 It’s genuinely healthy (because not all are), #2 it’s filling (I hate feeling hungry 15 minutes later after some others), and #3 it’s seriously delicious. In a high powered blender, grind the rolled oats into a flour. In a food processor, combine the oat flour, brown sugar, salt, peanut butter, maple syrup, almond milk, and vanilla extract. Stir in the cereal using a spoon. Form the mixture into small sized tiny balls. Store the leftovers in a freezer friendly bag in the freezer. 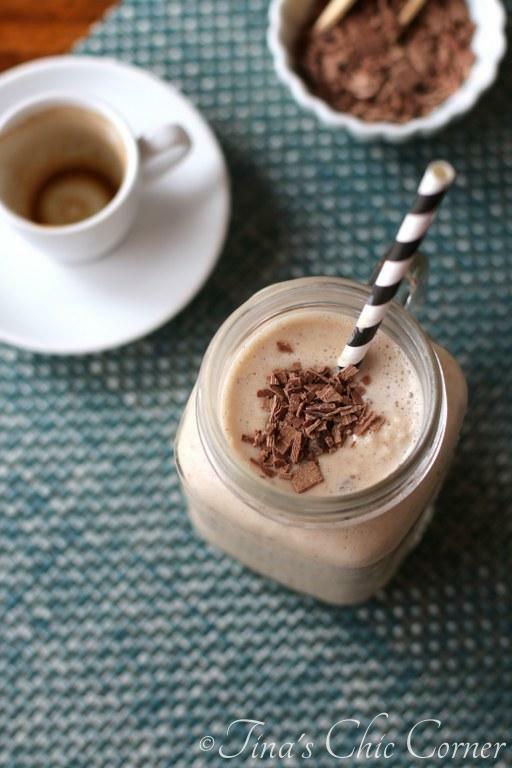 In a blender, add the almond milk, frozen bananas, chia seeds, peanut butter, vanilla extract, and ice and blend everything together. 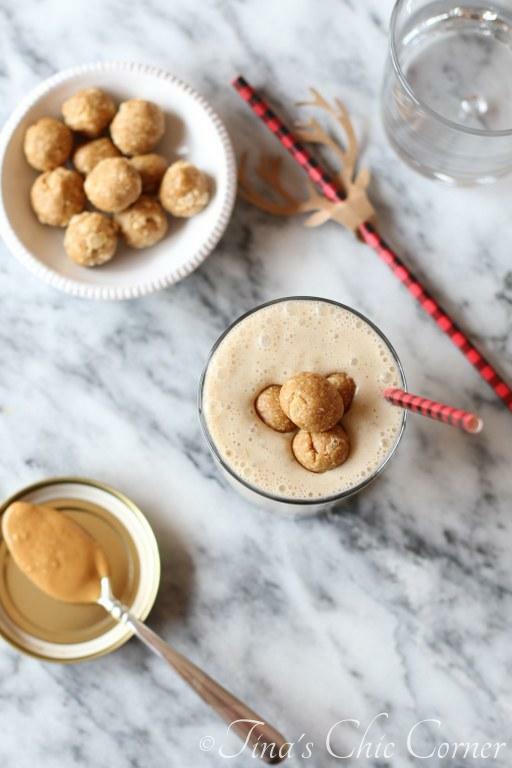 Pour the smoothie into two glasses and top with the peanut butter crunch balls. 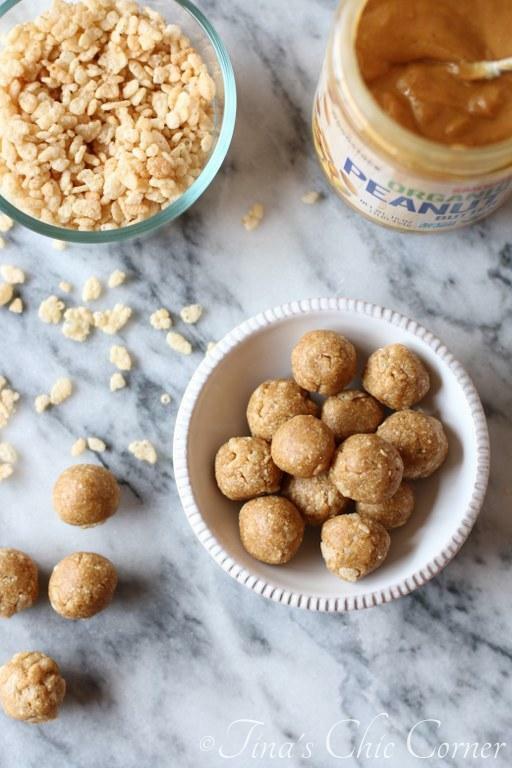 You can crumble the peanut butter crunch balls if you want. Note: Per the source below, this is a gluten free (if you use gluten free oats), dairy free, and vegan. Here are some other smokin’ smoothies.